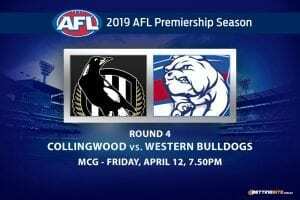 Collingwood Magpies: $6.00 is Collingwood a good premiership bet? 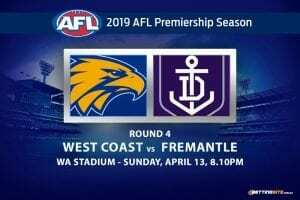 Friday night footy is back in 2019 with an absolute beauty. 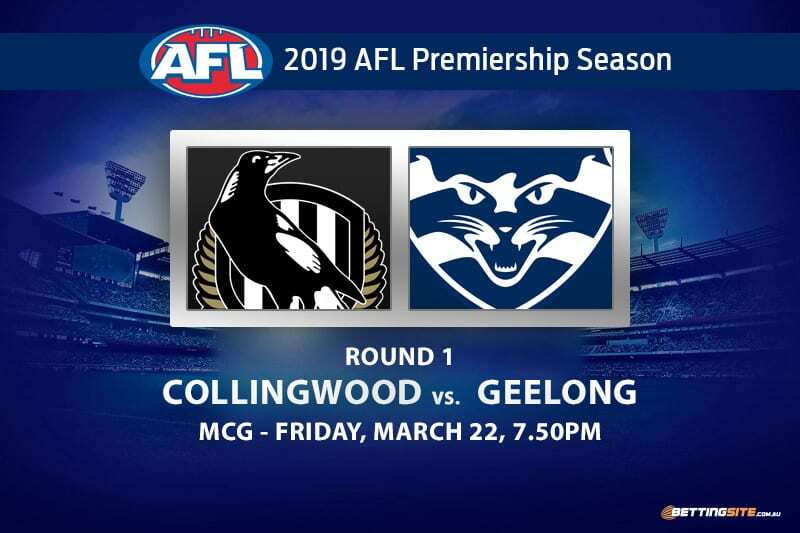 The Collingwood Magpies will host the Geelong Cats at the MCG in front of an expected 80,000 plus crowd. One team went all the way through September, only to be beaten by a single kick, the other made it to the first round, but didn’t progress any further. Collingwood has one of the best midfields in the AFL, led by Scott Pendlebury and Steele Sidebottom, accompanied by Dayne Beams and Adam Treloar, with plenty of other great names floating through. Geelong also boasts a quality midfield. With Patrick Dangerfield and Joel Selwood leading the way, Mitch Duncan and Tim Kelly providing support and Gary Ablett Jr also finding his way around the ground. 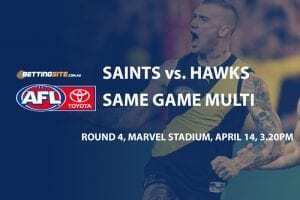 The Cats are one of the few teams that will compete well with the Magpies. The Magpies and Cats have played in some classic matches over the years, dating back to the 2011 Grand Final, which was won by Geelong. 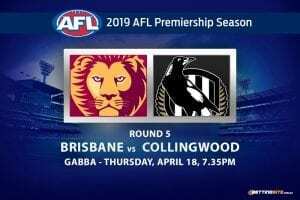 It has been Chris Scott’s Cats who have emerged victorious in the last two encounters between these sides, but it is Collingwood which will come into this game as favourites. In the battle of the mega-midfields, it will be invigorating viewing, but who will win the match? As well as our prediction for the game, here are a few expert tips. Of all the players on Geelong’s list, it is Luke Dahlhaus that matches up the best against the Magpies. Back when Dahlhaus was at the Bulldogs, he would often dominate matches against Collingwood. Starting from 2016, Luke accumulated 37 touches — a brilliant best afield performance — followed by two matches with 24 disposals in each. He is a lock-in to get 20 at the healthy price of $1.72 in his first game for the Cats. 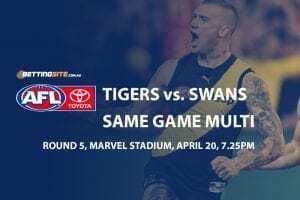 Adam Treloar to get 30 Disposals @ $2.20 – am I able to get a bookie bonus bet? Based off his preseason and previous performances in round one matches, Adam Treloar is another valuable selection to get 30 disposals. In the past five opening rounds Treloar has played, he has accumulated over 30 disposals, a very consistent effort from the talented midfielder. Adam also managed to find the footy 42-times in the second JLT against the Blues, which is another positive sign. Tough, hard and scrappy footy will be played this Friday night. It won’t be the prettiest match, and it might not be a free-flowing event either. In these conditions, it’s fair to assume the match will have a smaller winning margin and that’s why the 15-points offered in this tri-bet is the best option to take. The last five matches between the Pies and Cats have been a low scoring events, with the highest total points being 184 back in 2016. This year’s new rules were made to increase scoring, but because both sides are well-drilled, it will take some time before they can break the defensive structures. Expect a slog to begin with and a higher-scoring second half once both sides blow out the cobwebs for good. Losing the Grand Final by just five points will have been a driving force for for Nathan Buckley and the Magpies throughout the summer, which is why we expect them to come out hot and get off to a good start in 2019. 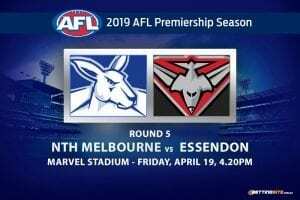 The Kangaroos will take on the Bombers under the bright lights of Marvel Stadium in what has become a fascinating Good Friday match-up.